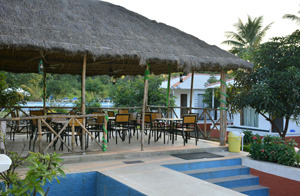 Hotel In Sasan Gir all the rooms are equipped with modern amenities. Resort in Sasan Gir offer best possible best service to our customers, so that they feel like their own home. From the time the guest checks in into until they checks out, we make sure that we provide them ultimate comfort and best services. Resort In Sasan Gir is best destination for families and youths who are contributing their time searching for Asiatic lions in Sasan Gir. Glorious gir woods resort offers all around designated, aerated and cooled estates, suites, bungalows and tents, and an really huge get away. Resort In Sasan Gir designed for discriminating travelers, each room features modern amenities and a contemporary design, yet conveys a timeless stylishness. within this resort, guests can retreat from modern pressures and experience the enchanting facilities and charming hospitality. Luxury accommodation such as individual, elegant, The hotel structure has cool colors, discreet patterns, rich fabrics, and classic paintings and prints. Beside the normal in room amenities such as TV (flat), air conditioning plus all highly standard bathroom equipment. Welcoming and comfortable, ideal for those who travel for work. Rooms are cleaned at regular intervals and we provide best service to our guests. 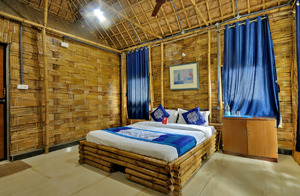 All the rooms are fully furnished as per basic needs. Hotel In Sasan Gir each of these rooms is pleasantly and all around outfitted with agreeable beds, open closets and TV set to watch your most loved appears. A perfect joined washroom prepared with consistent supply of hot and frosty water is additionally accessible. Discover the complete dining experience at Glorious Gir resort at its traditional hotel in sasan gir. While staying here the guests can enjoy a relaxed meal in our restaurant and choose from a variety of dishes & delights. Hotel In Sasan Gir offers a sumptuous breakfast every morning, an extensive lunch buffet and also an extensive dinner menu. Our cook pride themselves on their traditional fare as well as their exotic dishes that they serve to our guests. There are lots of visitors and nature partners like to visit the district each year resort in sasangir. Hotel In Sasan Gir is near to the gir national park involves thick deciduous woodland blended with semi evergreen and evergreen vegetation and acacia, clean wilderness, meadows and rough slopes. A dip in the swimming pool at our resort can provide the ultimate refreshment after a long day's sightseeing of nature. 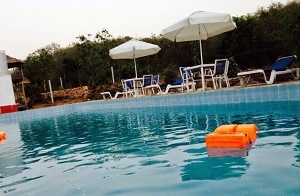 If you like swimming and relaxing it is an ideal place to stay. Our each of the space includes a huge chamber, a bathroom with a tub at the side of the ability of around the clock running hot and cold water. besides an open air organization, facing the river and the facility of indoor games and a conference hall adds an beautiful length of swimming pool. Copyright © 2015 Glorious Gir.